An outstanding opportunity, our recent purchase of a major hoard means we can offer the COMPLETE 1976-80 stamp series - with every stamp in Mint Unhinged quality! While Australia Post has issued albums since 1981, no annual sets were issued from 1966 to 1980. 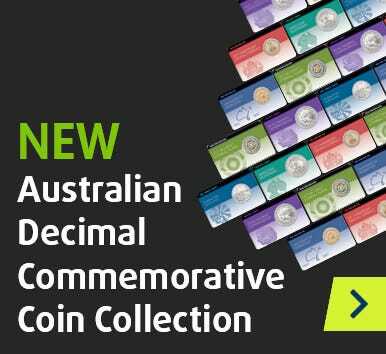 Filling the gap, these valuable Australian stamp collections represent the only way for collectors to conveniently assemble the early issues in the decimal series. A comprehensive appreciation of the first five years of the reign of Elizabeth II, this fantastic presentation comprises an example of every stamp from 1976 to 1980. Better yet, as these stamps have been taken from original sheets, every one is in pristine Mint Unhinged condition! Similar in format to Australia Post issues to enable convenient and consistent storage, the stamps issued from 1976 to 1980 are housed in individual annual albums. Each album is complete with information on the designs, the artists, the history and much more, and the set of five albums are offered the protection of a slipcase. https://www.downies.com/1976-80-australian-decimal-stamp-collection-muh 16766 1976-80 Australian Decimal Stamp Collection Muh https://www.downies.com/media/catalog/product/a/d/ad312.jpg 395 395 AUD InStock /Collectables/Stamps/Australian Stamps /Monthly Catalogues/June Money Catalogue An outstanding opportunity, our recent purchase of a major hoard means we can offer the COMPLETE 1976-80 stamp series - with every stamp in Mint Unhinged quality! While Australia Post has issued albums since 1981, no annual sets were issued from 1966 to 1980. Filling the gap, these valuable Australian stamp collections represent the only way for collectors to conveniently assemble the early issues in the decimal series. A comprehensive appreciation of the first five years of the reign of Elizabeth II, this fantastic presentation comprises an example of every stamp from 1976 to 1980. Better yet, as these stamps have been taken from original sheets, every one is in pristine Mint Unhinged condition!